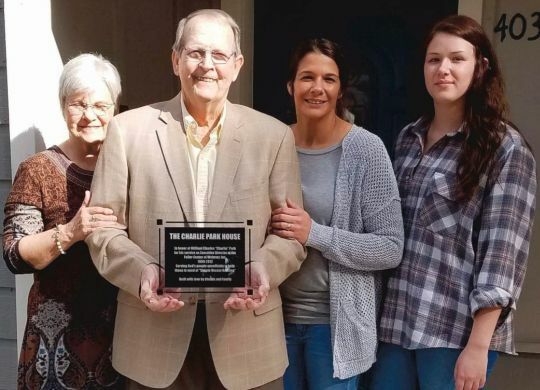 Charlie Park is known around Webster Parish, Louisiana, as the man with the big voice and an even bigger heart. Others around the nation know him as the man who welcomed volunteers who traveled to work in Webster Parish, including more than 100 volunteers at the 2011 Millard Fuller Legacy Build in Minden, Louisiana. Park became Executive Director of Webster Habitat for Humanity in 1999. He continued to lead the group when it transitioned in 2007 to The Fuller Center for Housing, stepping down as director in 2013 when he felt he could no longer give “110 percent”. The Fuller Center of Webster has now completed its 55th home and dedicated it in honor of this wonderful Christian servant. The Minden Press-Herald has a complete report on the dedication which you can read at the link below (for a 25-cent fee on the newspaper’s website).